Many of the refugees have lost family members. Many survived injuries themselves and been deeply traumatised by the impact of the war. 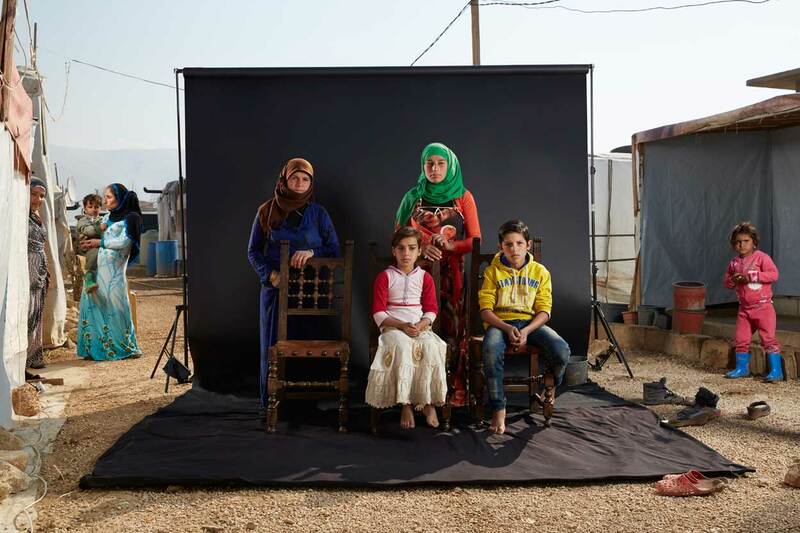 Below are some Syrian refugee families photographed by award-winning photographer Dario Mitidieri in refugee camps in the Bekaa Valley where Caritas Lebanon is working, only 9 km from the Syrian border. Caritas and its partners have been supporting vulnerable refugee families in Syria and across Lebanon, Jordan and Europe for many years. According to Caritas Lebanon there are an estimated 1,500 refugee camps in the Bekaa Valley that are home to 400,000 men, women and children whose lives have been shattered. 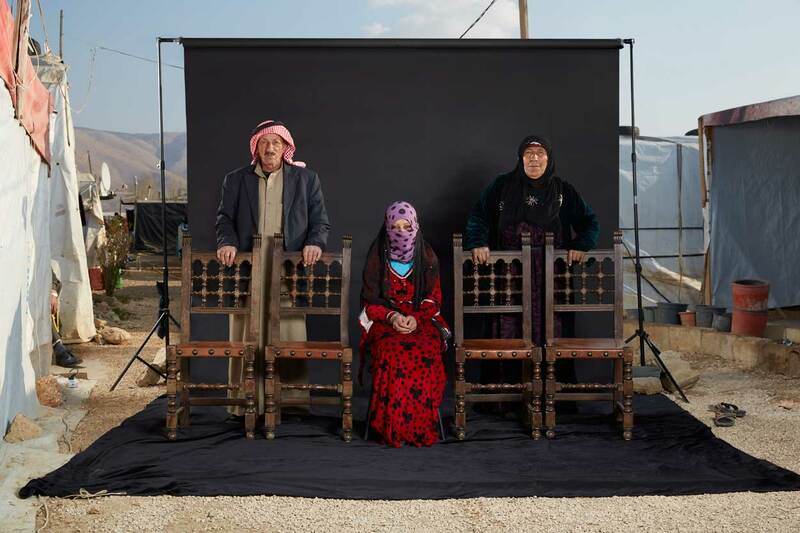 Sponsored by the creative agency, M&C Saatchi, the ‘Lost Family Portraits’ awareness campaign shows Syrian refugees in a classic family portrait with an empty space or chairs to represent their loved ones who have been killed or gone missing during the five-year conflict. 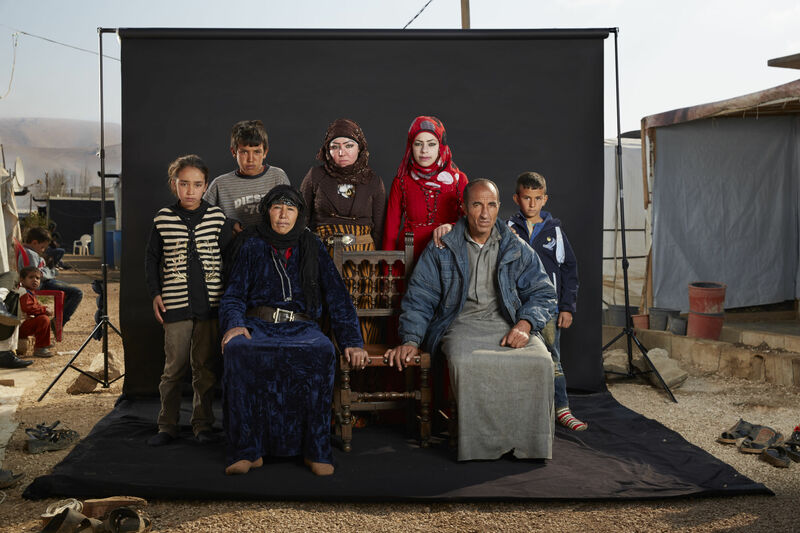 Dario Mitidieri said his photographs should act as a reminder never to forget the suffering of these families, and many more affected by the war. Just over a year ago, Mohammed was sitting in his living room with his family when a missile struck their home. Click the play button below to listen to Mohammed's story. Owayed managed to escape Syria with his wife and daughter. 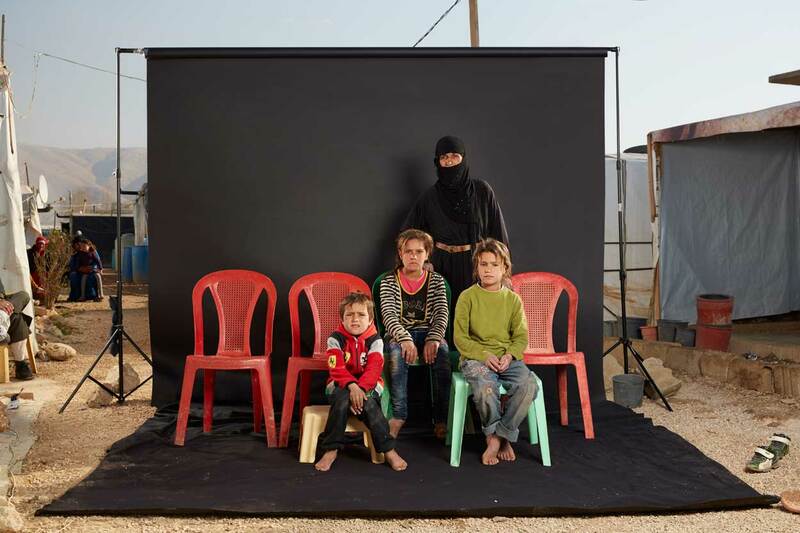 The family arrived at the camp six months ago after a terrifying journey during which they were threatened by militants. Click the play button below to listen to Owayed's story. Khawle escaped from Syria by bus with three of her children five months ago. As the bombing intensified they were forced to continue their journey on foot. Khawle’s daughter has a learning disability and was brutally attacked along the way. Click the play button below to listen to Khawle's story. 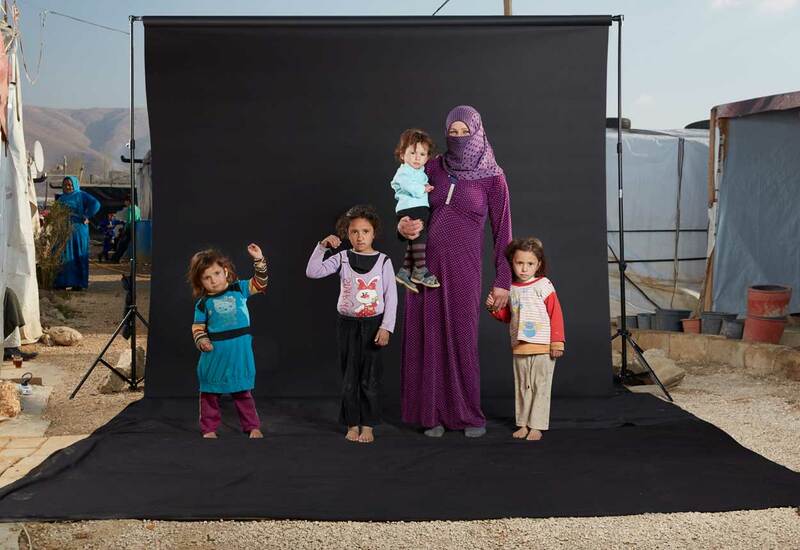 Razir fled Syria after her husband was kidnapped and executed by armed men. Click the play button below to listen to Razir's story.